The National Magazine Award-winning Ryerson Review of Journalism has reason to celebrate, and they want you to join them. 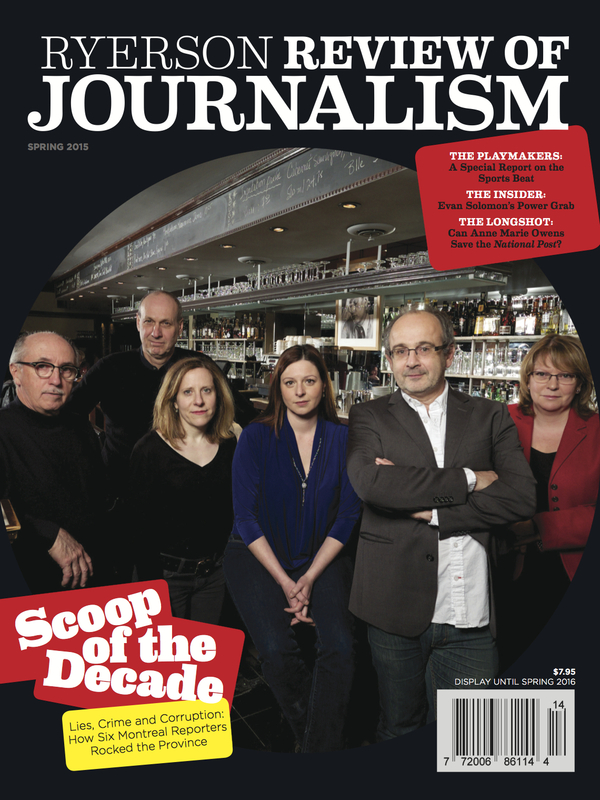 The Spring 2015 issue is ready for release, with the RRJ hosting a launch party on March 24 at the Bier Markt in Toronto. Tickets are free and the event starts at 5:30. Created by the undergraduate and graduate students at the Ryerson School of Journalism, this annual publication has 28 entries in our National Magazine Awards Archive, with many nominations for Best New Magazine Writer. Attendees can get their hands on the latest issue, meet soon-to-graduate journalism students and support an award-winning Canadian magazine. 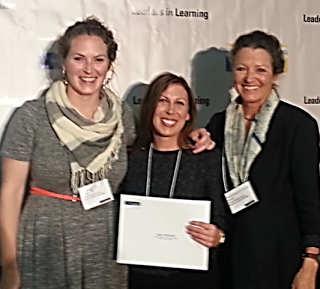 [This post has been updated] Congratulations to Ryerson University student Angie Mattison, winner of the second annual Charles Oberdorf Memorial Award for excellence in magazine and web publishing. The $1000 prize was created in 2011 by the friends and family of Charles Oberdorf, for eighteen years a teacher at Ryerson and the coordinator of the magazine and web publishing program at the Chang School for Continuing Education. Mr. Oberdorf was the recipient of the 2010 2007 National Magazine Awards Foundation’s Outstanding Achievement award, for his career of service to the Canadian magazine industry. Hat tip: Canadian Magazines blog. Ryerson University’s venerable School of Journalism will celebrate its 60th anniversary this weekend in Toronto, with a reception Friday evening and a conference of panel sessions on Saturday. The Friday event, called Journalism on the Rocks, will honour 12 alumni of the journalism program, including 3-time National Magazine Award winner and longtime Ryerson faculty member Don Obe. Other inductees into what the school is calling its Journalism Headliners include the late sports journalist Randy Starkman, Zarqa Nawaz, creator of the TV series Little Mosque on the Prairie, and Shelley Ambrose, co-publisher of The Walrus. Saturday’s panel sessions will focus on Ryerson and Journalism: The Next 60 Years, featuring National Magazine Award-winning Ryerson alums Julia Belluz and Elizabeth Renzetti, as well as a number of other remarkable journalists. It would be almost impossible to calculate how many Ryerson alumni and faculty have won National Magazine Awards or edited NMA-winning stories, but there’s no doubt the program has had a deep and meaninful impact on the Canadian magazine industry. Its highly regarded, student-run Ryerson Review of Journalism has won 6 National Magazine Awards from 30 nominations since it was founded in 1984. Congratulations Ryerson School of Journalism on 60 great years and many more to come. An annual magazine produced by journalism students at the University of Guelph-Humber’s Media Studies program has won seven Gold Circle Awards from the Columbia Scholastic Press Association. EMERGE Magazine (read the latest issue online at Issu) is produced entirely by students in the journalism stream at UGH. From the CSPA–which is affiliated with the Graduate School of Journalism at Columbia University–EMERGE received awards in the categories Non-fiction Columns, Headlines, Informational Graphics, Infographics Portfolio, General Portfolio, Multipage Presentation, and Overall Design. Congrats to a job well done by the next generation of magazine creators!